Co-Founder and CEO at Aikaan Labs"
Chetan Kumar S is CEO and Co-Founder at AiKaan Labs Pvt Ltd., a Edge and Fog computing startup at Bangalore. AiKaan Labs (www.aikaan.io) provide Edge Controllers for Industrial and Enterprise IOT systems, which helps in Operations and Management of Edge and Fog infrastructure. He also serves at the board of Nut Labs Pvt Ltd. Chetan, obtained bachelor’s degree in engineering with specialisation in electronics and communication from university of Mysore in the year 1996. After graduation worked as research staff at Indian Institute of Science(IISc.) for one year, subsequently working towards Master degree at IISc, working on MAC protocol for real time multimedia service over Wireless LAN. After graduation, severed various engineering and leadership positions in organisations, including Wipro Global R&D, NetDevices, Alcatel-Lucent, Juniper Networks. Working across U.S, Europe & India in startups & established corporates. 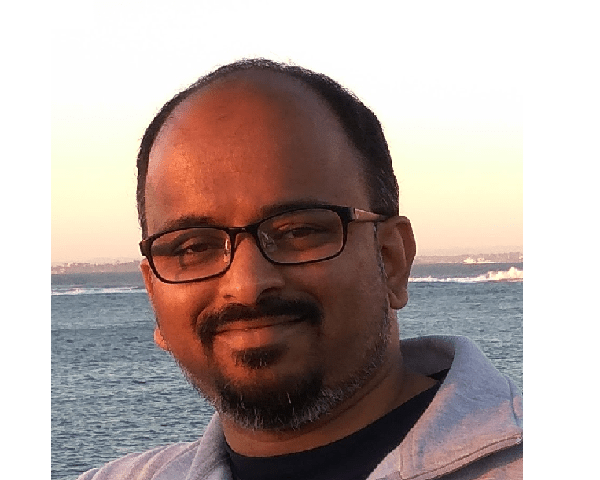 In most recent stint, before co-fouding AiKaan, was heading System Services engineering team for Catalyst Switching products at Cisco Systems India. Has (co-)authored 8 papers published in various international conferences and proceedings, proposed two internet draft to standards body. Has four patents in areas of voice over IP, Netflow and Edge computing.Areas of interests include Edge & Cloud Computing networks, IOT, Hyper Local Content distributions, data analytics & machine learning in systems & networks.